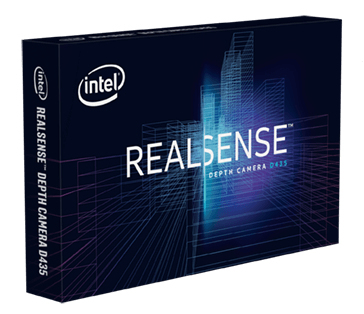 - Support for the new cross-platform and open-source IntelÂ® RealSenseâ„¢ SDK 2.0, including a variety of operating systems, third-party plugins and environments, and programming languages. - With the rolling image shutter and standard field of view, the IntelÂ® RealSenseâ„¢ Depth Camera D415 offers a general purpose solution for your project, making it easy to add depth stream data to your existing system. - With the global image shutter and wide field of view, the IntelÂ® RealSenseâ„¢ Depth Camera D435 offers the capability to capture and stream the depth data of moving objects effectively, providing high depth perception accuracy to your prototype in motion.